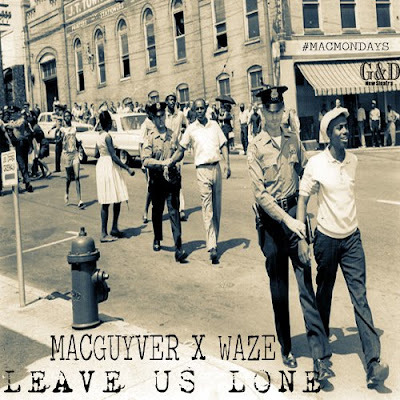 MacGuyver, on his third installment of #MACMONDAYS, recruits the talent of Waze to speak on the up hill battles they face in this world feeling behind the 8-Ball from the jump. Good soulful production that definitely helps me delve into this track, eyes closed, head nodding. Mac is now 3 for 3 and doesn't look like he'll be missing a shot soon. Check it.